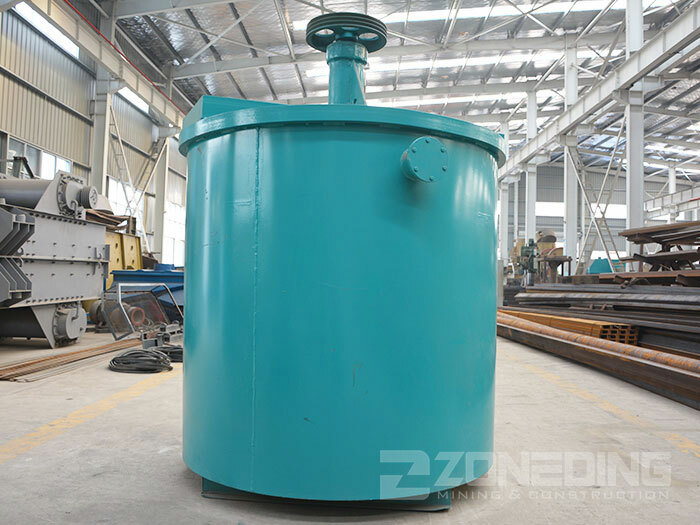 Product categories of Agitation Tank, we are specialized manufacturers from China, Agitation Tank, Mineral Mixing Tank suppliers/factory, wholesale high-quality products of Chemical Mixing Tank R & D and manufacturing, we have the perfect after-sales service and technical support. Look forward to your cooperation! 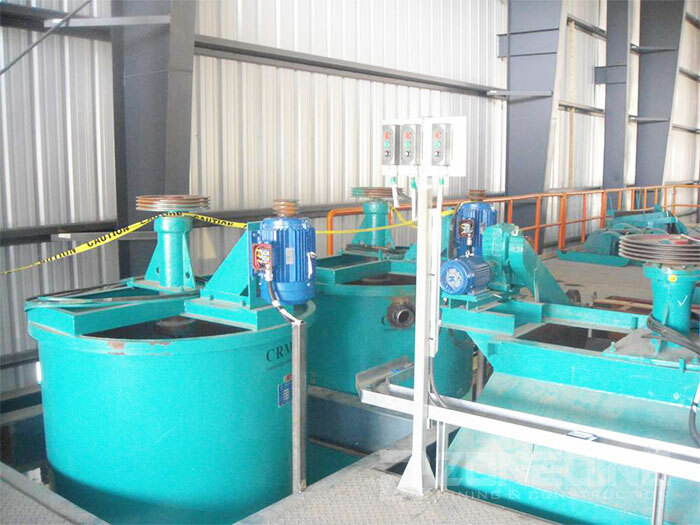 Agitation Tank is mainly used to mix pulp before flotation in the beneficiation process. It can mix drug and pulp intensively. Agitator is suitable to mix pulp with density smaller than 30% (weight ratio) and size smaller than 1mm. V-belt of motor drives impeller to mix drug and pulp completely. This machine can increase reaction time and strengthen reaction quality of the drug.